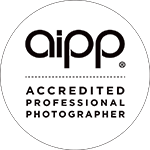 The All Inclusive Fee of $995 covers the time & skill of the photographer, Karin Shugrue, taking the images, the professional editing of photos and the delivery of a minimum of 30 high resolution files on USB. The Fee does not include any other products, prints or photographs. The Booking Fee of $150 must be paid to secure booking. The remainder of the Fee of $845 is due before or on the day of the session. For larger family sessions, please request information for "Large Family Photography Session" - thank you.